The Office of the Comptroller of the Currency has indicated that it intends to place an increased focus on compliance with the Servicemembers Civil Relief Act in its examinations of national banks. This follows a growing trend of regulatory bodies increasing scrutiny of those organizations that service citizens with U.S. military status. According to the OCC official website, its examination process is a fundamental aspect of the state’s supervision of U.S. banks. Examiners look at banks’ management processes and activities in order to ensure that they comply with all laws and regulations and operate in a safe manner within acceptable risk levels. There are two basic types of examination carried out by the OCC, according to the organization. The first is a full-scope, on-site review of the bank, which is carried out once every supervisory cycle. These cycles last approximately 12 to 18 months. Under the full-scope review, the competence of bank management, the quality of bank assets and loans and compliance with federal banking regulations are all assessed. The second type of examination is a review of specialty areas. There are currently five primary areas toward which examiners assess the compliance of a bank with its legal obligations. These include asset management, bank information technology, the Bank Secrecy Act, the Community Reinvestment Act and consumer compliance, including the Truth in Lending Act and the Fair Housing Act. The protections offered to those with U.S. military status under the Servicemembers Civil Relief Act have received more public attention in recent months, and a number of regulatory bodies in the state and federal government have begun pushing for further scrutiny of the organizations governed by the law. For example, the Consumer Finance Protection Bureau has made SCRA compliance a serious focus following a number of cases in which financial institutions were deemed not to be obeying regulations, according to CFPB Monitor. Two notable cases stand out in which the CFPB became involved – the reinterpretation of the SCRA to make student loan lenders reduce interest rates for those with U.S. military status with significantly less paperwork than before and the USA Discounters case, in which a lender was deemed to be taking advantage of servicemembers. Both of these cases demonstrate a shift toward a heavier focus on regulating the organizations that do business governed under the SCRA. Considering this trend, it should be no surprise that Grovetta Gardineer, Deputy Comptroller for Compliance Policy at the OCC, announced that the regulatory body would be working to focus on compliance with the Servicemembers Civil Relief Act in its examinations of national banks, in a speech at the 2014 Association of Military Banks of America Workshop. In her speech, Gardineer highlighted the risks involved with non-compliance with the SCRA. She cited the order in September for JPMorgan Chase to pay remediation to thousands of customers for harm resulting from deficient bank practices and procedures related to the law. The bank was also required to correct the deficiencies in its procedures for ensuring that servicemembers who are eligible for requested SCRA-related benefits are receiving them, that these benefits are calculated correctly and that a search is performed to verify U.S. military status before seeking default judgments against borrowers. Gardineer also noted the 2012 joint action between the Department of Justice and the OCC in taking action against Capital One for violations of the SCRA. That bank was also required to remediate and restitute servicemembers harmed by its failure to comply with the law. Gardineer’s speech wasn’t all stick – she commended financial institutions for their general dedication to helping the men and women with U.S. military status, and explained that she understood the risks associated with a failure to comply with the SCRA. In order to minimize that risk, she explained that the OCC will increase its focus on compliance with the law and will now require examiners to include evaluations of SCRA compliance during every supervisory cycle in their examination of national banks and federal savings associations. This effectively makes SCRA compliance a part of the OCC’s full-scope review, meaning that it is now more important than ever for financial institutions to ensure compliance with the SCRA. 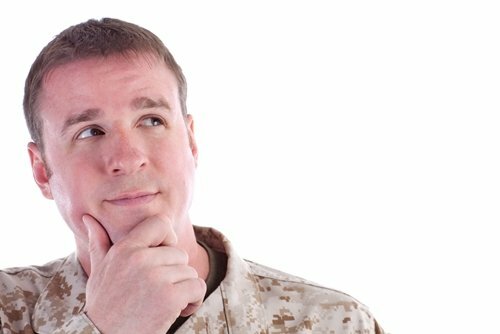 Other organizations that work with men and women with U.S. military status should also ensure compliance with this law by performing a search to see which of their customers is a U.S. servicemember with protection under the act. The Servicemembers Civil Relief Act Centralized Verification Service may be helpful in simplifying this task.